Along with Egypt, Canada is one of two countries that we at Oldest Olympians know best. While Egypt has a lengthy Olympic history of a thousand competitors, Canada has had nearly four times that many, which makes keeping track of them all, particularly those from the earliest Games, a nearly impossible task. Among Canada’s 3500+ Olympians, we have been unable to identify a single one who lived to the age of 100. For today’s blog, therefore, we decided to highlight the three Olympians who almost made it that far and celebrate their lives and sporting legacies. Robert Zimmerman – Diver and Swimmer at the 1908 and 1912 Summer Olympics: Despite having represented the country twice at the Games, our first entry on this list was not even a Canadian: he was born and died in the United States and never acquired Canadian citizenship. In the era of fluid boundaries, however, being a member of the Montreal Swimming Club was sufficient for the Olympics to consider him Canadian and thus he marched in the Opening Ceremony for that nation both times. He took part in three events in 1908, one diving and two swimming, but was eliminated in the opening round of all of them. He was more successful in 1912, however, coming in fifth in the springboard competition. 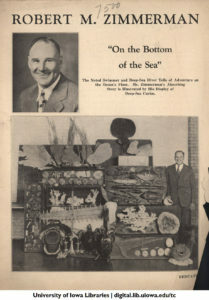 During his athletic career, Zimmerman was active in no fewer than nine different sports, but it was in the water that he was most at home. 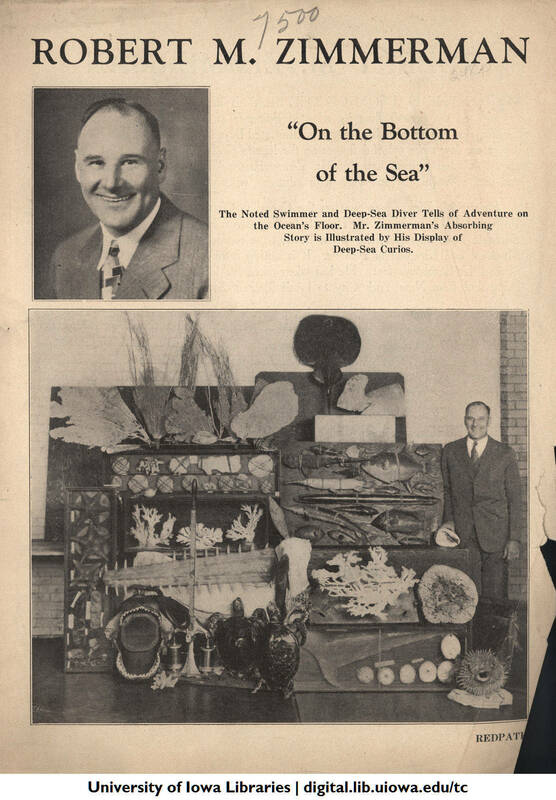 Of his many careers following his return to the United States, he was most well-known as a deep-sea diver. As he aged, he set himself the goal of completing a 35-mile canoe race for his 100th birthday. Unfortunately, he died just one day after his 99th birthday, which, for many years, made him the longest-lived Canadian Olympian of all time. Sandy MacDonald – Sailor at the 1960 and 1964 Summer Olympics: Like Zimmerman, Sandy MacDonald was prolific in several different athletic pursuits. He played football and ice hockey in his youth and was even selected to represent Great Britain in the latter at the 1928 Winter Games. 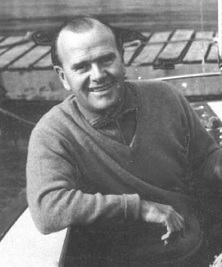 His Canadian citizenship eventually disqualified him, and thus his Olympic debut would have to wait 32 years, when he competed in Dragon Class sailing at the 1960 Summer Games. He finished fifth in this edition, and seventh four years later in the 5.5 Metres class. His most notable accomplishment in sailing was his gold medal from the Dragon Class tournament at the 1963 Pan American Games. MacDonald was a surgeon by profession, but continued to complete in sailing for many years. He celebrated his 99th birthday on September 7, 2003 but, unfortunately, died 44 days later. He remains, as of this posting, the longest-lived Canadian Olympian. Thelma Boughner – Diving at the 1936 Summer Olympics: Unlike Zimmerman and MacDonald, Thelma Boughner had a quieter profile. 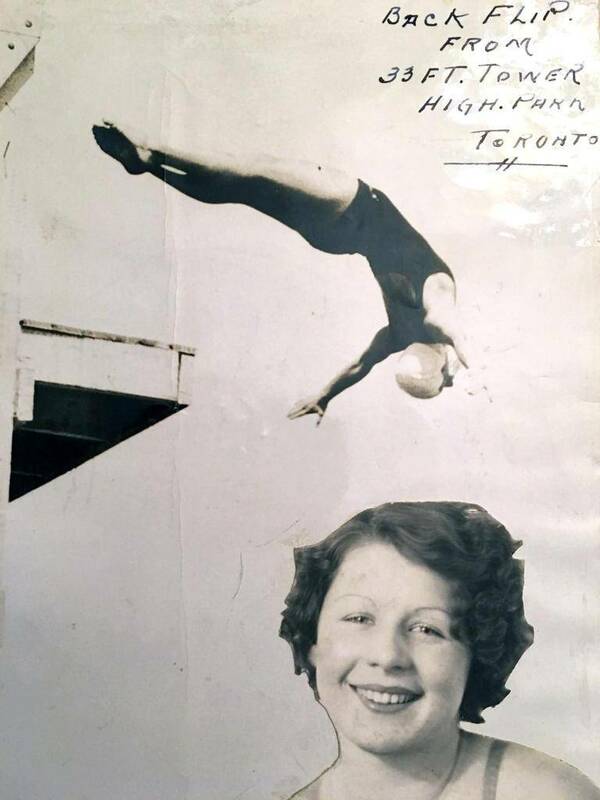 She competed in both women’s diving events at the 1936 Summer Games, placing 15th and 22nd in the springboard and platform respectively. She blamed her results on being poisoned by a German dentist shortly before her participation. World War II ended her career, and she later moved to the United States after marrying a Navy pilot, where she ran a successful chain of ice cream franchises. For many years, we had limited evidence that she was still alive, and even removed her from our lists at one point. Unfortunately, we learned from her obituary that she died on October 29, 2017, just over a month after her 99th birthday, and had been the oldest living Canadian Olympian for many years. It should be noted, however, that Canada does hold one interesting longevity record, courtesy of Cecil Smith, pictured above. Smith represented her country at the 1924 and 1928 Winter Olympics as a figure skater, in the former at the age of only 15. Yet although she was “only” 89 years old when she died on November 9, 1997, she was nonetheless the last known surviving competitor from the 1924 Winter Games. 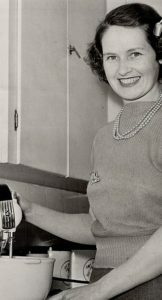 As of this writing, the title of the oldest living Canadian Olympian is shared by the Wurtele sisters, Rhona and Rhoda, born January 21, 1922, who competed in alpine skiing at the 1948 and 1952 Winter Games respectively. We hope very much to be writing about them and their sporting accomplishments four years from now in celebration of their longevity! For next week, however, we will be taking a look at the world’s oldest Olympian, John Lysak, who turned 104 just yesterday, and some of the competitors who could (at least in theory) be even older! We hope you’ll join us! Today we bring you the final part of our attempt to clarify the biographical details of the lives of Egypt’s Olympic medalists and are focusing on the 1952 and 1960 Summer Games. After participating in Helsinki, Egypt boycotted the 1956 Olympics in protest of the Suez War, although it sent competitors to the equestrian events, which were held several months prior to the Games due to Australian quarantine restrictions. It then competed in the next three editions as the “United Arab Republic”, due to its political union with Syria, although by 1964 Syria had left the union and in 1960 there is no evidence that any Syrians actually competed in the Games. After earning two medals in 1960, Egypt would only see the podium once more prior to 2004, at which point sport was sufficiently globalized and covered in the media to pre-empt any mysteries surrounding Olympic medalists. Even by 1960 the situation had improved greatly, although there is still a little worth discussing. 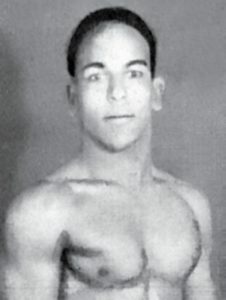 Abdel Aal Rashid – Bronze medalist in Featherweight Greco-Roman Wrestling, 1952: Egypt’s only medalist at the 1952 Summer Olympics was Abdel Aal Rashid, who won a bronze medal in Greco-Roman wrestling’s featherweight division. As this was his only major international podium finish, there is very little additional information on him available. We uncovered an interview he gave to Al-Ahram after the Games, which confirms his commonly-seen date of birth of December 27, 1927 and gives us a little history of his life, including the fact that he was born and raised in Alexandria. After that, we have been unable to uncover any significant trace of him, or even been able to ascertain whether or not he is still alive (which is certainly within the realm of possibility at the age of 90) as one of the oldest Olympians. Osman El-Sayed – Silver medalist in Flyweight Greco-Roman Wrestling, 1960: Osman El-Sayed had won a silver medal at the 1955 Mediterranean Games, so he was a little more well-known when he reached the podium at the 1960 Games in flyweight Greco-Roman wrestling. Different sources list his place of birth as either Cairo or Alexandria but, based on the evidence we have seen, we feel that the latter is most likely correct. One difficulty in finding information about him, as we later discovered, was that in Arabic he went by the name “Eid Osman”, which is a common phrase in the language and can be difficult to search for. We were able to find out, however, that he died on April 21, 2013, unfortunately with limited fanfare, despite some sources that continue to list him as still alive. Abdel Moneim El-Gindy – Bronze medalist in Flyweight Boxing, 1960: Like Osman El-Sayed, Abdel Moneim El-Gindy entered the 1960 Summer Olympics as a known entity, having won gold at the 1959 Mediterranean Games. Of the era’s three medalists, he was probably the most well-known, and the only point of contention is his date of birth: some sources lists June 12, 1936, while others mention December 1936, making it likely that some of these have simply reversed the correct date order (12-6-1936 vs. 6-12-1936). While we are working to clarify this point, we do know that he died March 17, 2011, although unfortunately this coincided with the tumultuous Egyptian Revolution of that year, and thus his death gained less attention than it might have otherwise. In 1984, Mohamed Ali Rashwan took silver in judo’s open class, which was Egypt’s only Olympic medal between 1960 and its successes at the 2004 Games. From this point on, the nation’s Olympic medalists received the historical attention that they deserved, which means that our job is complete. Of course, we will keep researching and utilizing our contacts to uncover the information that is missing but, in the meantime, it is time to move on to a new topic. Next week we are going to turn to Canada and focus more on our eponymous topic of the oldest Olympians. Canada is a nation that has had three Olympians reach the age of 99 but, to our knowledge, none that have made it to 100. We’ll be taking a looking at these three and featuring the stories of their lives, so we hope you’ll join us! Today we bring you Part 3 of our attempt to clarify the biographical details of the lives of Egypt’s Olympic medalists and are focusing on the 1948 Summer Games. In terms of medal count, this was Egypt’s most successful appearance and, while records were getting better, there still remains some mystery about the medalists from these Games. 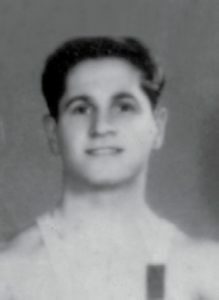 Mahmoud Fayad – Olympic Champion in Featherweight Weightlifting: With Ibrahim Shams having moved up a weight category and Saleh Mohamed Soliman having seemingly disappeared from the sporting scene, the two pre-war Egyptian medalists in Olympic featherweight weightlifting were out of contention for the1948 Games. This set the stage for Mahmoud Fayad to triumph in the event and establish his legacy among Egypt’s great champions. A World silver medalist in 1946, he went on to become World Champion in 1949 and 1950, leading to numerous works being written about him. 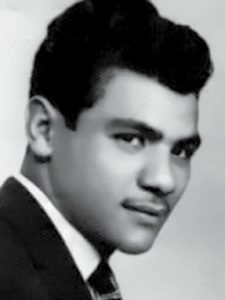 They all agree that he was born March 9, 1925 in Alexandria, while his obituary in Al-Ahram confirms that he died there on December 18, 2002, making him one of the few Egyptian Olympic medalists for whom data is consistent and reliable. 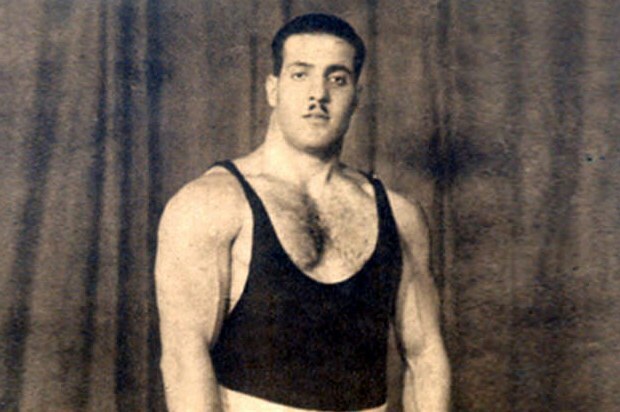 Ibrahim Shams – Olympic Champion in Lightweight Weightlifting: We mentioned last week that Ibrahim Shams took bronze in the featherweight weightlifting tournament at the 1936 Games but, during World War II, he moved up in weight category with great success, as he captured the Olympic lightweight title in 1948. As we mentioned above, we are still trying to determine which (if either) of his birth or death dates was January 15 instead of 16 but, for the most part, information on his life is as consistent as it is with Fayad. Attia Mohammed – Silver medalist in Lightweight Weightlifting: History has not been as kind, however, to the runner-up to Shams’ victory, Attia Mohammed, another Olympic medalist whose very used name could be the subject of debate. His full name was Attia Mohammed Hamouda, but what he actually went by varies from source to source and tournament to tournament, although “Attia Mohammed” seems most common in Arabic-language materials, although very little was written about him overall. His year of birth (we have no exact date) is seen as both 1914 and 1922, but pictures of him in sporting magazines of the early 1930s demonstrate that the latter is impossible (the one above, for example, comes from a 1934 publication). As for his year of death, the Egyptian Olympic Committee (EOC) gives 1992, but we have seen no other source to collaborate this, and the lack of an exact date makes it difficult to search for him in the Al-Ahram archives. Thus we continue to seek confirmation. Mahmoud Hassan – Silver medalist in Bantamweight Greco-Roman Wrestling: Mahmoud Hassan was the 1947 bantamweight Greco-Roman World Champion, but he had to settle for silver in that category at the 1948 Summer Olympics. At the 1951 Mediterranean Games, however, he took the gold medal once again. Most sources have him born December 15, 1919 and dying September 10, 1998, but we were unable to verify the latter date in Al-Ahram. While we have no reason to doubt this date, it would be nice to obtain some additional confirmation. Ibrahim Orabi – Bronze medalist in Light-Heavyweight Greco-Roman Wrestling: Only by virtue of his longer and more noted career does Ibrahim Orabi surrender the title of Egypt’s most enigmatic Olympic medalist to Saleh Mohamed Soliman. The EOC lists virtually nothing about him, other than that he won a bronze medal in light-heavyweight Greco-Roman wrestling at the 1948 Games. 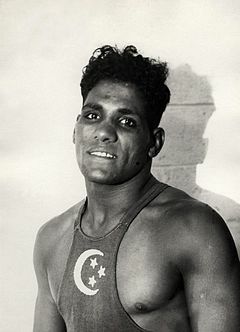 We also know that he competed as a middleweight at the 1936 edition, where he placed fifth, and won a light-heavyweight silver medal at the 1951 Mediterranean Games. Aside from this, contemporary reports list him as being from Alexandria, and we have no reason to doubt the year of birth of 1912 that we often see ascribed to him. After 1951, he seems to disappear from the historical records and, given that it is highly unlikely (albeit not impossible) that he is still alive, we have been unable to locate any information on the circumstances surrounding his death. 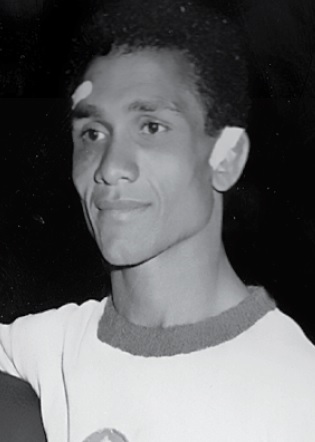 Next week we will be wrapping up this series by looking at Egypt’s medalists from the 1952 and 1960 Olympics, as the nation only saw the podium once more – in 1984 – between 1960 and 2004. We will also finish our survey with a few concluding remarks, before moving on to new topics beginning two weeks from now. Today we bring you Part 2 of our attempt to clarify the biographical details of the lives of Egypt’s Olympic medalists and are focusing on the 1936 Summer Games. Although the nation was more successful in 1948 in terms of the medal count, Egypt achieved its highest ranking among countries – 15th – in 1936, with two gold medals, one silver, and two bronze. Despite this, however, there is much that remains unclear about some of the country’s medalists from Berlin. 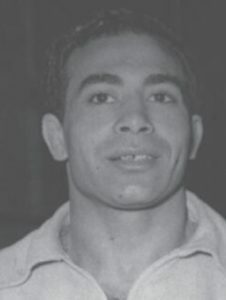 Khadr El-Touni – Olympic Champion in Middleweight Weightlifting: Khadr El-Touni remains the most famous champion in Egypt and for good reason: his performance in the middleweight weightlifting competition at these Games was so dominant that it would have won him the gold medal in the weight division above his own. He was also a three-time World Champion (1946, 1949, and 1950), a Mediterranean Games champion, and the setter of between 11 and 16 world records. He died after touching electrical wiring in his home in September 1956, and while some sources cite the date as September 25, his obituary appeared in Al-Ahram on September 23, confirming a death date of the 22nd. 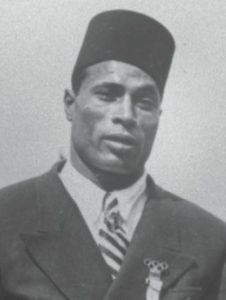 Anwar Mosbah – Olympic Champion in Lightweight Weightlifting: Anwar Mosbah shared the 1936 Olympic gold medal in lightweight weightlifting with Austrian Robert Fein but, with all the clamor surrounding El-Touni’s middleweight victory, Mosbah’s achievement was ignored by the Egyptian media. 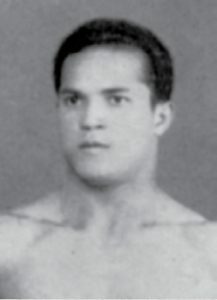 He eventually built up a reputation as a coach and trainer, however, and although his death was once reported erroneously by the local media, sources consistently list the correct date as November 25, 1998, as well as a date of birth of April 8, 1913. Saleh Mohamed Soliman – Silver medalist in Featherweight Weightlifting: An inquiry regarding Saleh Mohamed Soliman was what gave us the idea to write about this topic in the first place. Even his preferred name is unclear, as all possible combinations of his three names appear in Arabic sources, which also often list him without even a year of birth. They do agree, however, that he was 20 years old when he won the Olympic silver medal in featherweight weightlifting in 1936, so we have no reason to doubt that his date of birth is June 24, 1916, as claimed by the Egyptian Olympic Committee (EOC). Beyond that, there is no additional information about the rest of his life, as he never appeared in other major tournaments or received much attention from the Egyptian press. Thus the question of when – and even if, since it is possible that he is still alive – he died remains open. Some Arabic sources list him as the same weightlifter who won gold and silver medals respectively in the middle-heavyweight division of the 1951 and 1955 Mediterranean Games, who was born c. 1917 and went by the name of Mohamed Ibrahim Saleh. We have no evidence to confirm a connection the two, however, and, given the significant differences in weight categories, we believe this to be in error. Ibrahim Shams – Bronze medalist in Featherweight Weightlifting: Coming in behind Saleh Mohamed Soliman in men’s featherweight weightlifting was a much more well-known athlete, Ibrahim Shams. Shams went on to become an Olympic champion in the lightweight division in 1948, making him Egypt’s most successful Olympian for the next 64 years, until Greco-Roman wrestler Karem Gaber won a silver medal in 2012 to match the gold medal he earned in 2004. He was also a World and Mediterranean Champion and set six world records. His accomplishments have led to relative consistency with his biographical details, with most sources claiming that he was born on January 16, 1917 and died on his birthday in 2001. Some sources, however, suggest that he was either born or died (but not both) on January 15, and we are working to confirm on which date exactly is correct. Wasif Ibrahim – Bronze medalist in Light-Heavyweight Weightlifting: Just like Saleh Mohamed Soliman, Wasif Ibrahim’s identity is so muddled that many Arabic sources seem uncertain of his very name. 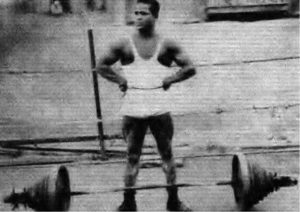 He did, however, continue to compete after winning bronze in the 1936 light-heavyweight weightlifting division, and set a world record in 1938. His date of birth is seen as both November 4, 1908 and September 24, 1912, with the 1908 date being what is used by the EOC. The EOC also mentions his date of death as May 17, 1975, although we were unable to confirm this as we could not find an obituary for him in Al-Ahram around this time, making it possible that this information is incorrect. After 1936, war intervened and the Olympics did not reconvene until 1948. By medal tally, these Games would be Egypt’s most successful and, while record keeping was getting better, there are still mysteries to be had. Tune in next week for Part 3, where we’ll try to clear up some of the confusion regarding these athletes. For our first Oldest Olympians blog post, we are talking about Egypt; specifically, Egypt’s Olympic medalists, which has been an area of focus for us here during our research in Cairo. Our inspiration for this post stemmed from a response we received when we posted about Mohamed Selim Zaki being the oldest living Egyptian Olympian. 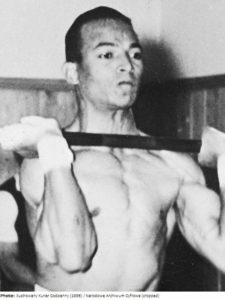 They contacted us to inquire about Saleh Soliman, born June 24, 1916, who won a silver medal in men’s featherweight weightlifting in 1936. The implication was that, surely, if an Olympic medalist had died, the world would know about it. The unfortunate truth is, however, that almost no nation has a perfect record for keeping track of their Olympic medalists. We have already discussed, for example, Belgian Olympic champion Micheline Lannoy, as well as the Mohawk Indian lacrosse team from 1904. There are, however, many others like them. Just counting athletes that could potentially be alive, we have 13 silver medalists and 31 bronze medalists for whom we have no information about their living status, the majority of whom were born in the mid-1920s or later. For countries such as Japan, as we learned with Shunpei Uto, part of the problem might be the language barrier. For countries such as Canada or Switzerland, however, the issues are more complex, and perhaps we shall discuss them in another blog post. We feel that Egypt, however, is a special case, because not only is there much missing information, but the information that is available is often contradicted in other sources. Therefore, we thought that it would be a good use of a blog post to clarify what is known and not known about the lifespans of Egypt’s Olympic medalists from 1928 through 1960, to collect all of our knowledge in one place, and to uncover the truth with definitive sources. Since there are many of them to discuss, however, this week we are going to look into the medalists from 1928. 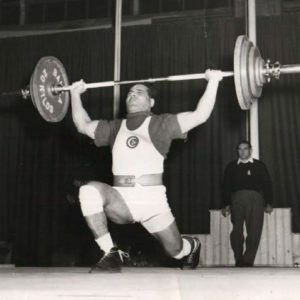 Sayed Nosseir – Olympic Champion in Light-Heavyweight Weightlifting: Egypt’s first Olympic champion has also proven, for us at least, one of the more frustrating individuals to uncover information about. Across the numerous biographies that have been written about him, we have seen years of death of 1973, 1974, and 1977, with some containing specific dates such as October 11, November 23, and November 28. We have even seen October 11, 1968, although this report liked conflated him with Ibrahim Moustafa (see below). Egypt’s largest national newspaper, Al-Ahram, does not contain an obituary for Nosseir in the sports section around any of these dates, although the issue is further muddled by the fact that this paper did not print a sports section for much of the latter quarter of 1973, due to regional conflicts. The most common information we see printed is that he died some time in 1974 at the age of 69, which, thanks to the fact that his date of birth is reported remarkably consistently as August 31, 1905, would suggest a date of death in the latter quarter of that year. We will continue to search. Ibrahim Moustafa – Olympic Champion in Light-Heavyweight Greco-Roman Wrestling: Despite being Egypt’s second Olympic champion, Moustafa received more attention in the media than Nosseir, probably due to the fact that he was more involved with national sport after his victory. Moustafa died while serving as national team coach at the 1968 Summer Olympics, with the date being seen as the 6th, 9th, and 11th of October. Thankfully, we found his obituary on the 10th of October, which states clearly that he died the day before and allows us to be certain about the correct date in this case. As for the date of birth, we see April 20 and September 23 of 1904, but September 23 was printed in his obituary. 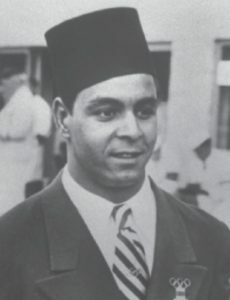 Farid Simaika – Silver Medalist in 10m Platform Diving and Bronze Medalist in 3m Springboard Diving: Simaika’s unfortunate death during World War II has made him the Egyptian Olympic medalist about whom information is the most uniform. After becoming an American citizen in 1942, he joined the United States Army, serving during World War II. His plane crashed somewhere in Indonesia on September 11, 1943 and, while various accounts of exactly how he died have been told (everything from at the hands of the Japanese to the spears of tribal head-hunters), it has generally been agreed that he died on that day. 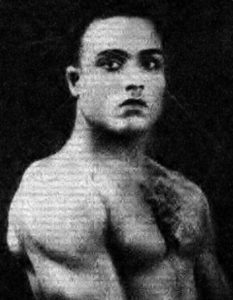 Due to concerns that the country was not being represented in the International Olympic Committee by an actual Egyptian (at the time it was represented by Angelos Bolanki who, although born in Alexandria, was of Greek ancestry), the national Olympic Committee of Egypt declined to participate in the 1932 Games. Therefore, next week we will look into Egypt’s medalists from the 1936 Summer Games held in Berlin, which was host to some of the nation’s greatest successes… and also some of its greatest mysteries! Finally, if you have any topics you would be interested to see covered here, let us know; we’re always open to requests!